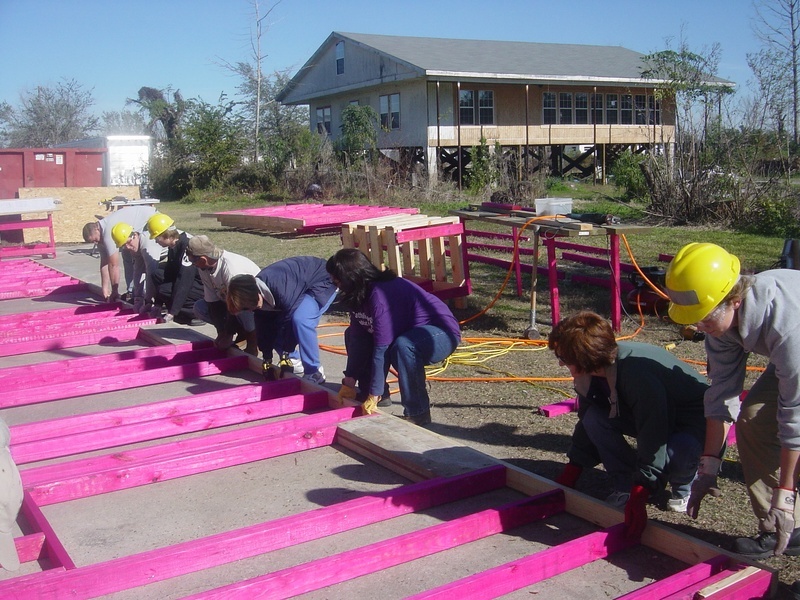 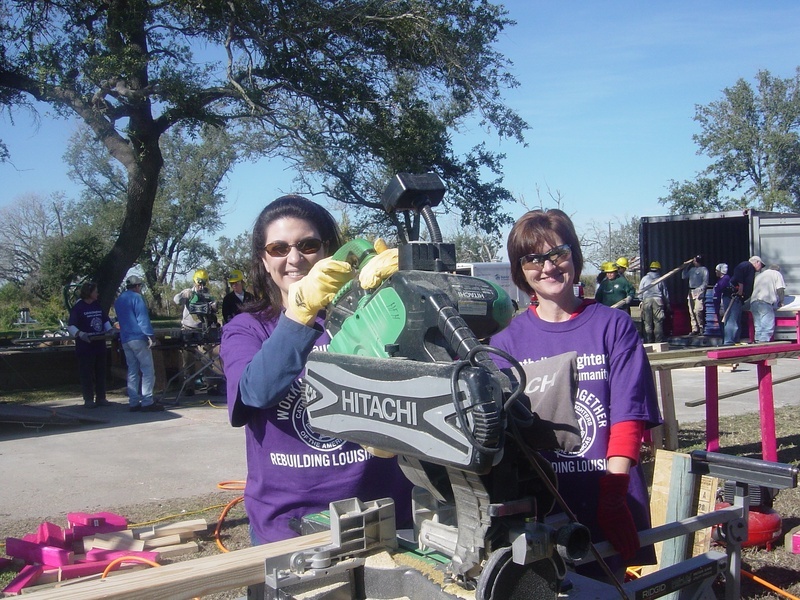 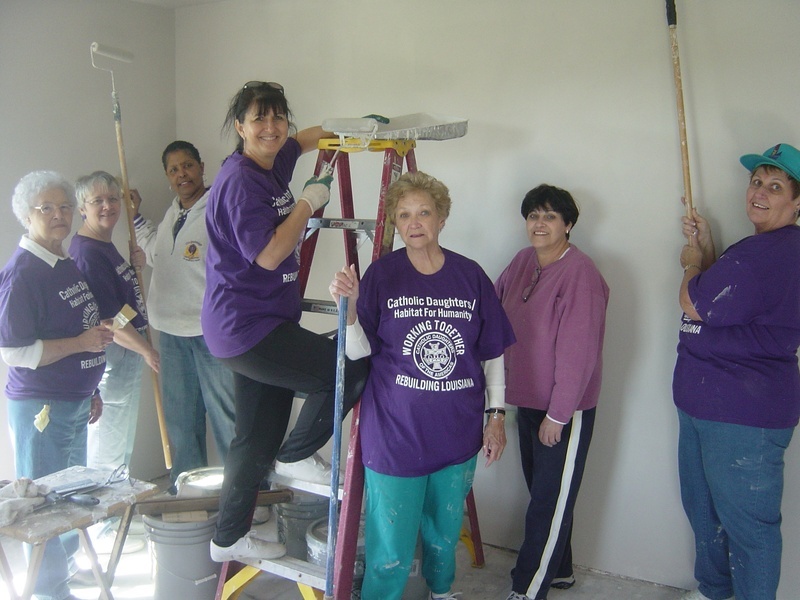 Teaming up with Habitat for Humanity, Louisiana State Catholic Daughters have built two houses in our state and working on our third. 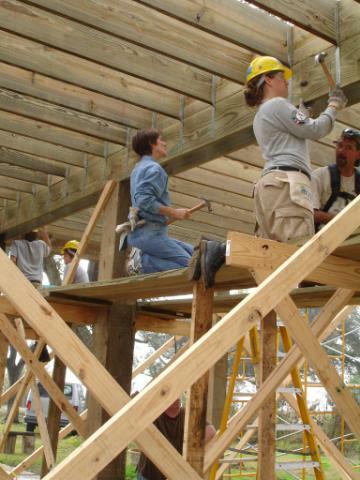 Fundraisers are held on local and state levels to raise money for this worthwhile project. 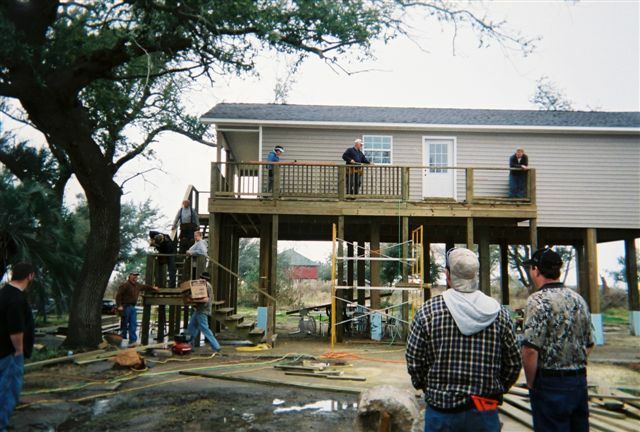 The first house was a "blitz build", built in Baton Rouge in 1999 and the second house in Cameron in 2007-08. 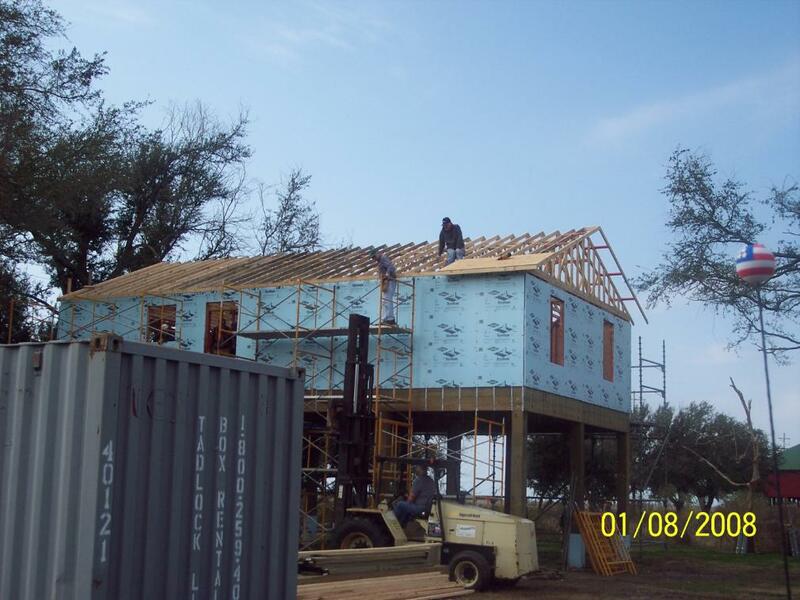 Our dream has come true and we are building another home. 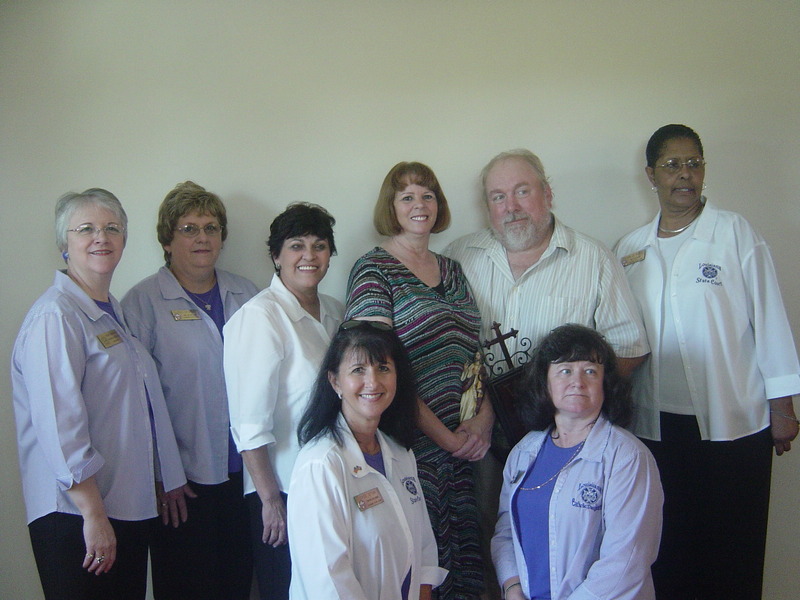 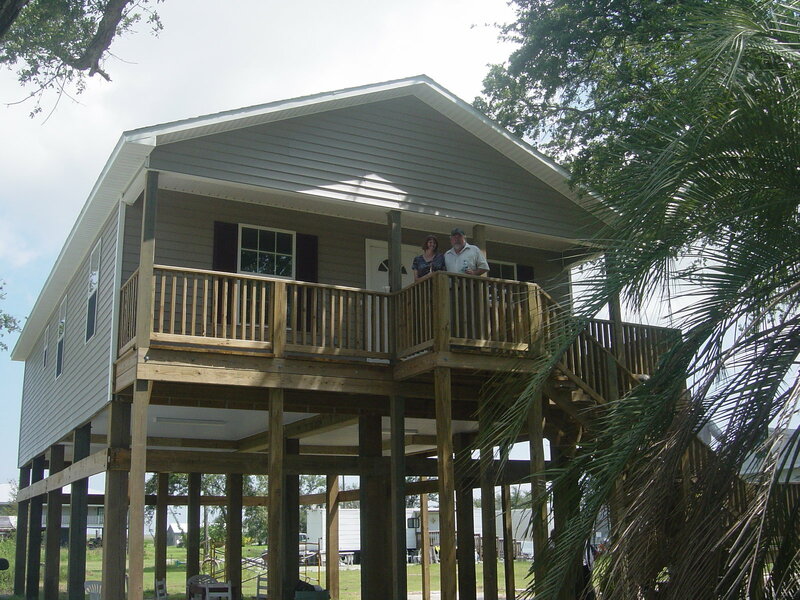 Started November 27, 2012 we began working on the home in the New Orleans area. 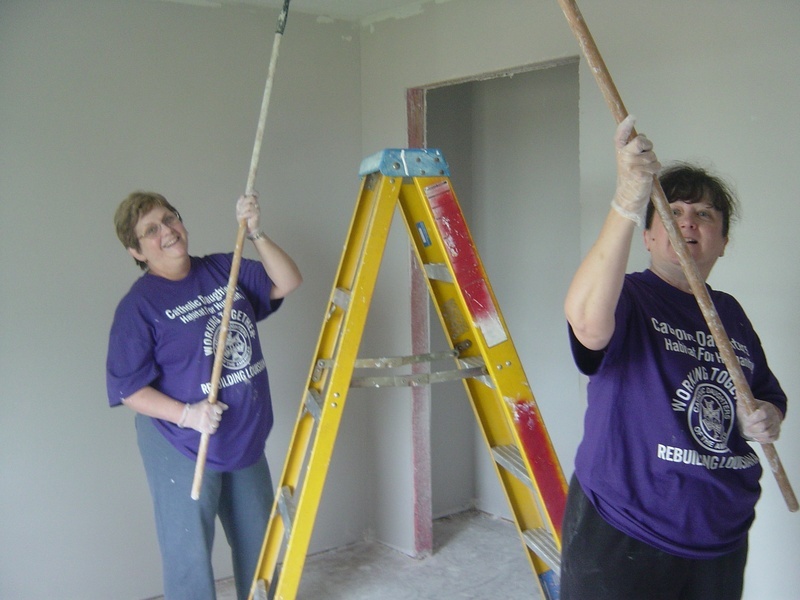 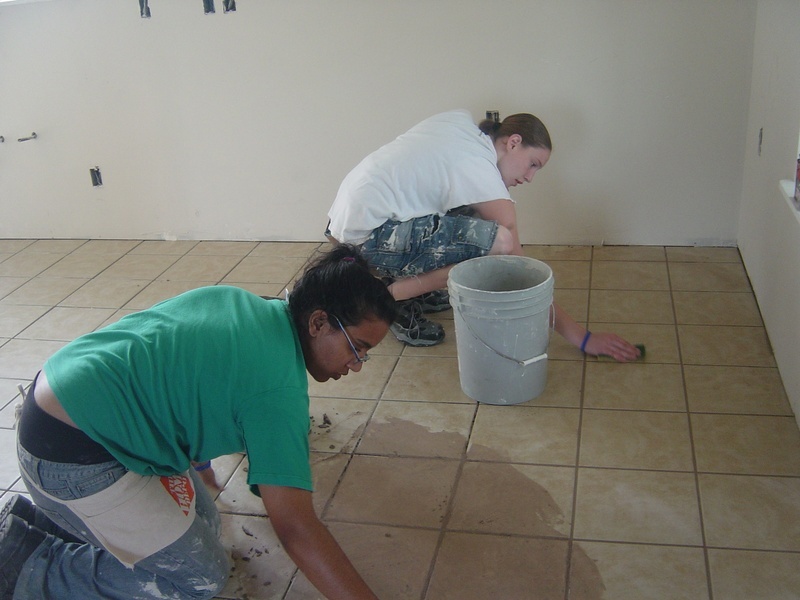 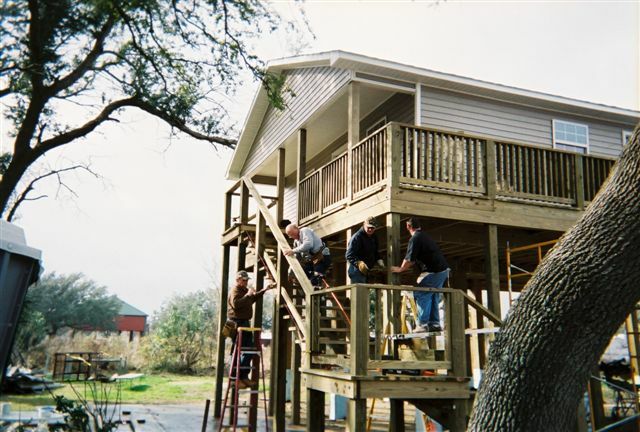 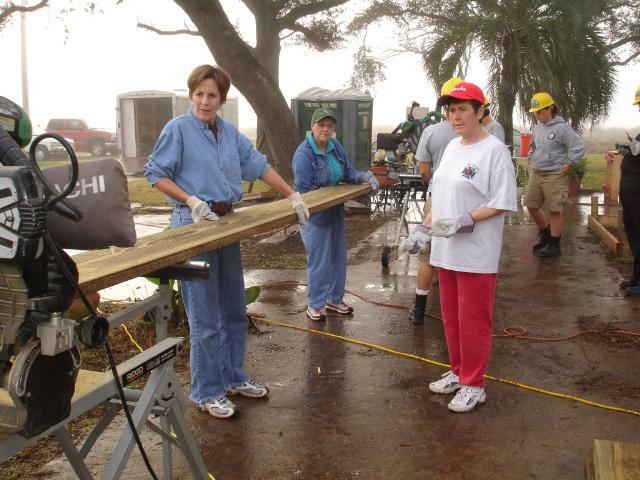 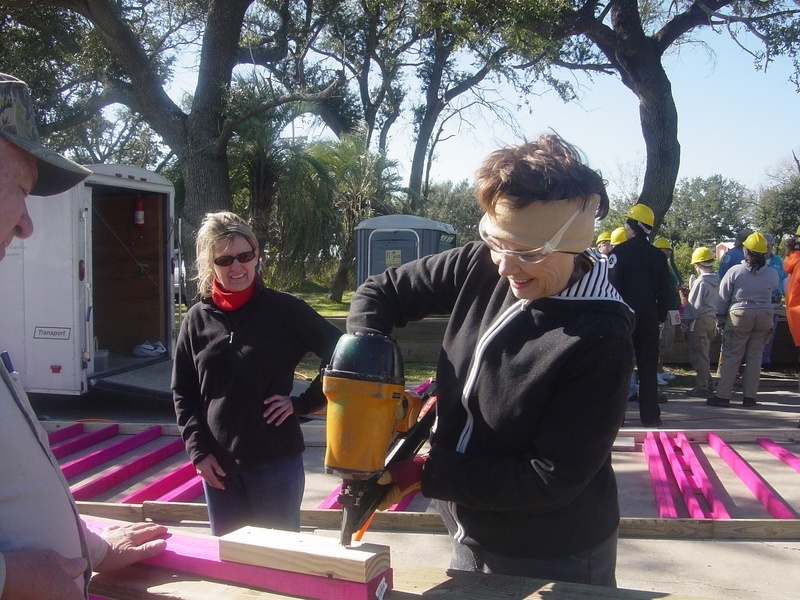 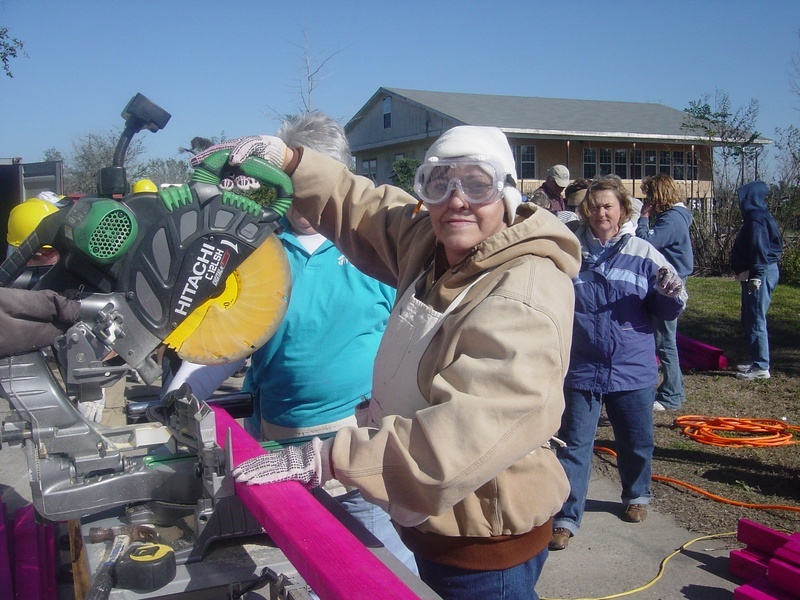 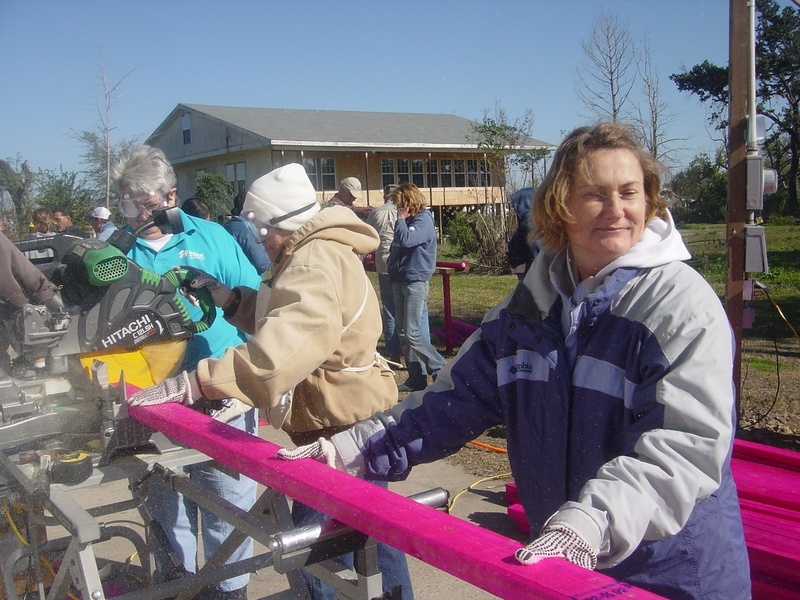 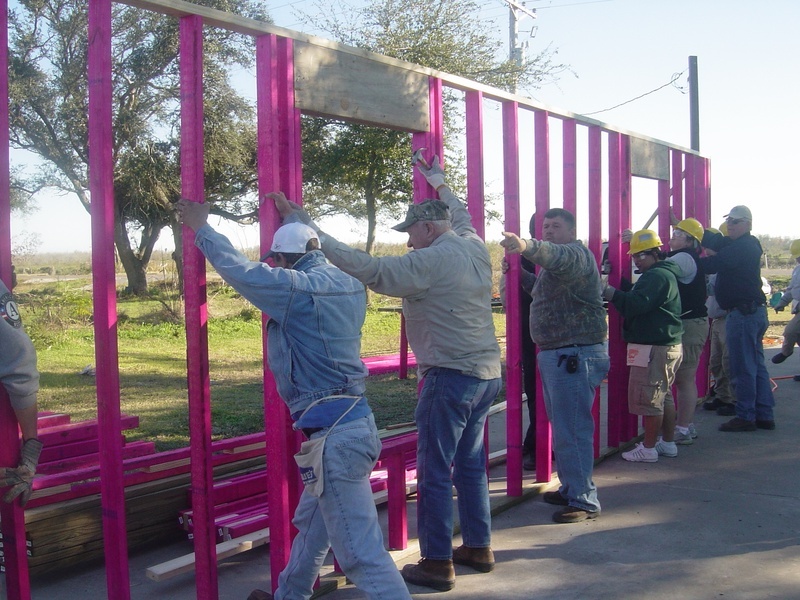 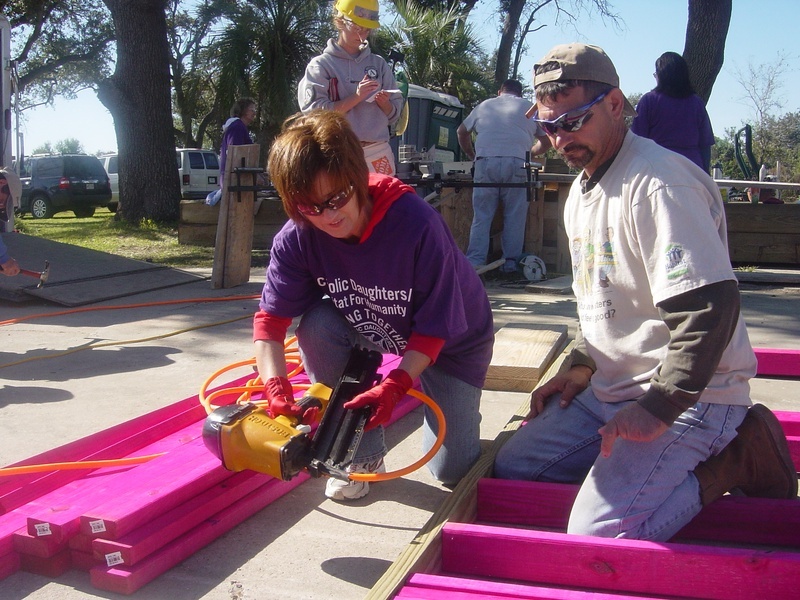 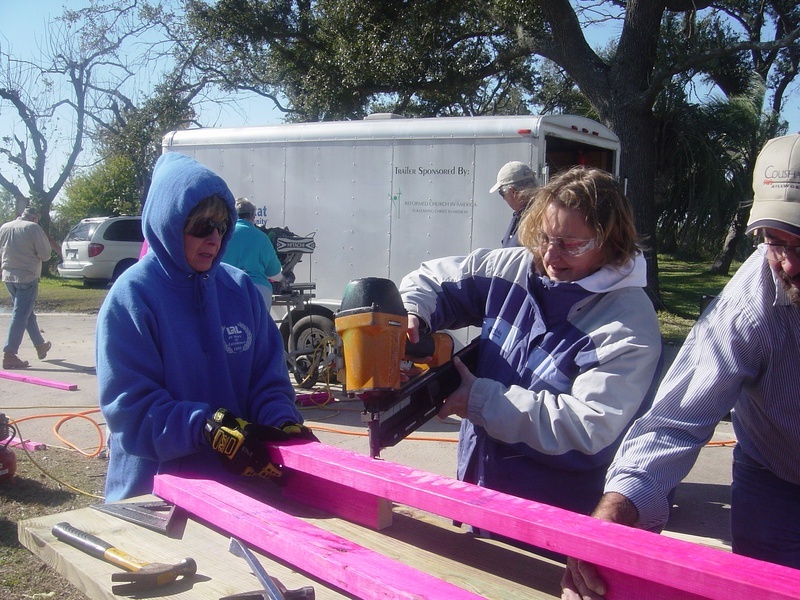 See the latest pictures on the "Habitat-New Orleans" link. 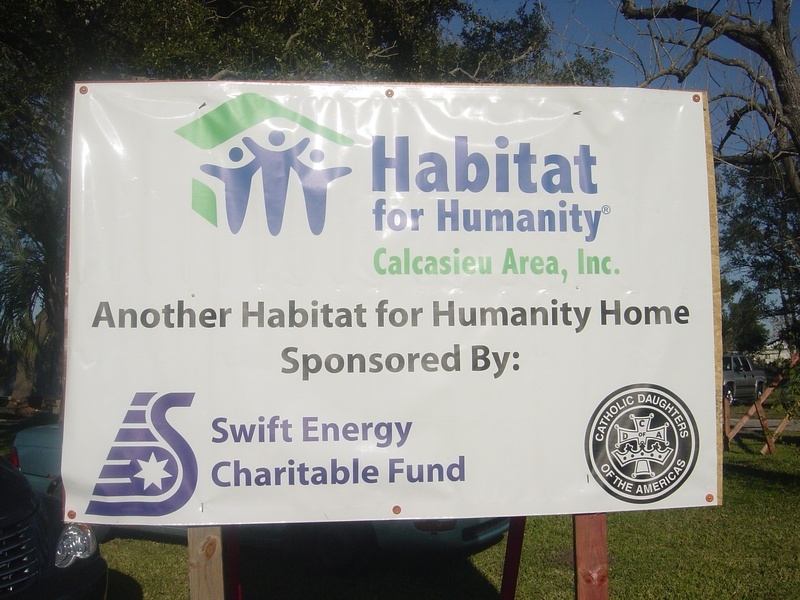 Monetary donations to the local habitat and "wo-men" power is what it takes to succeed in this project. 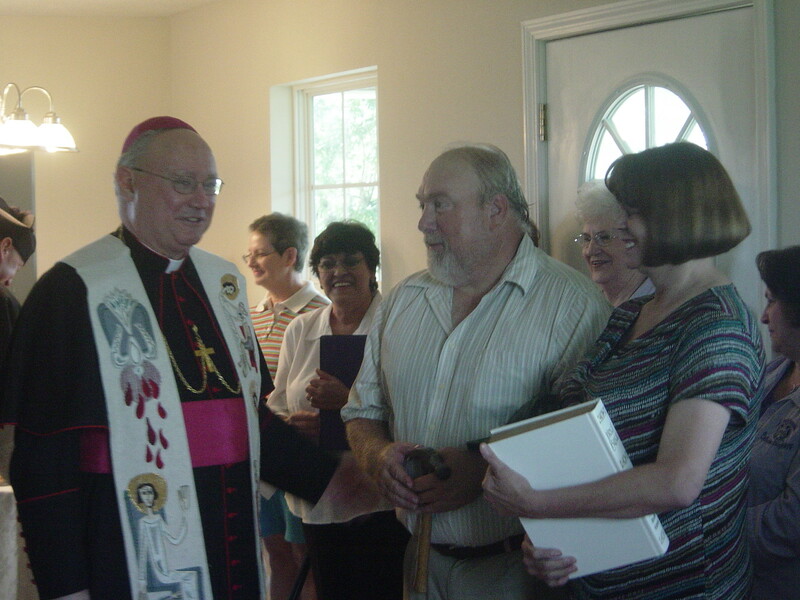 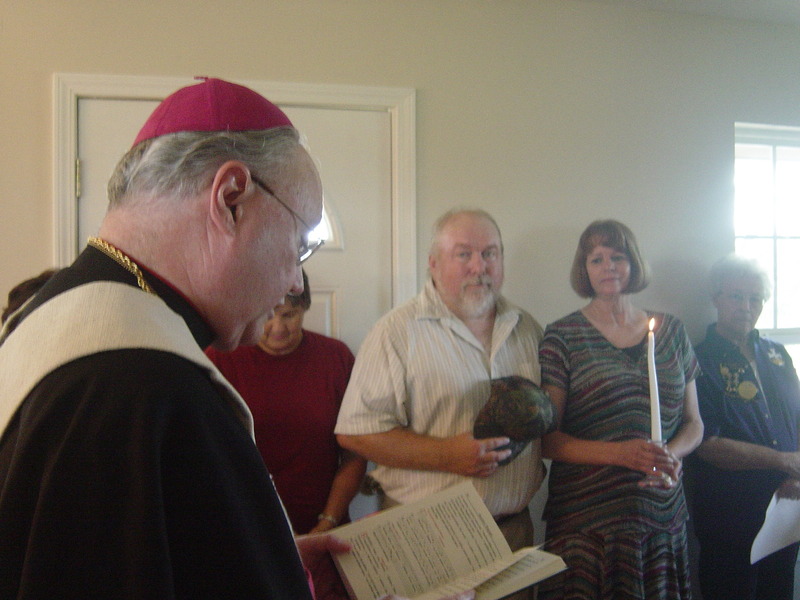 Dedication of the Habitat House in Cameron was held Saturday, August 9, 2008 at 10:00am. 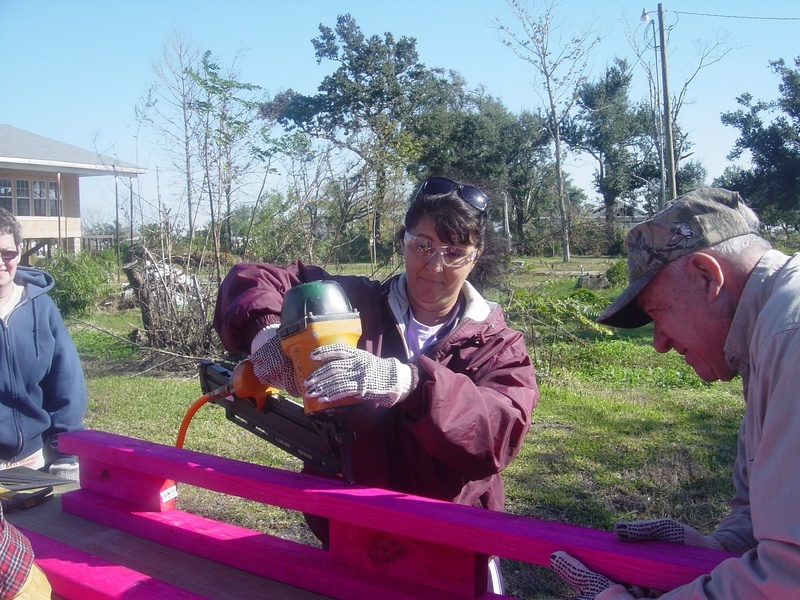 This has been a long awaited and much anticipated event. 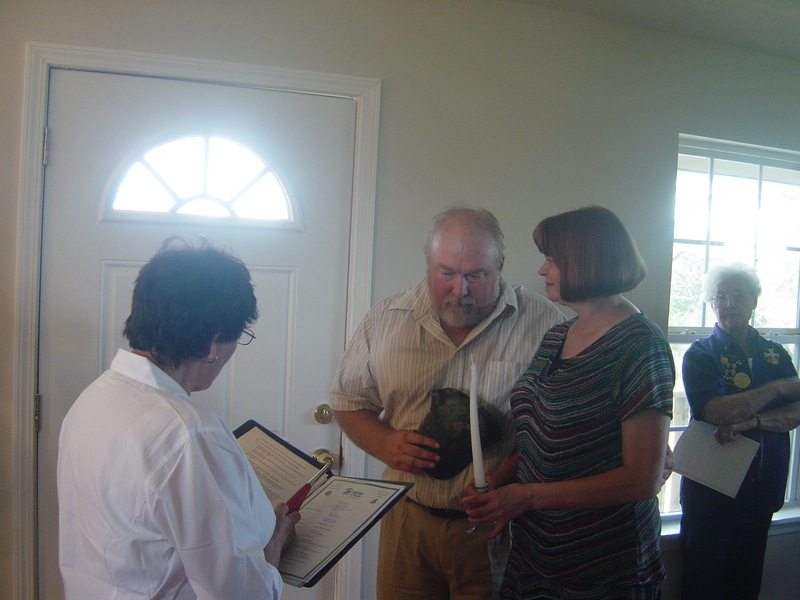 A reception followed the dedication. 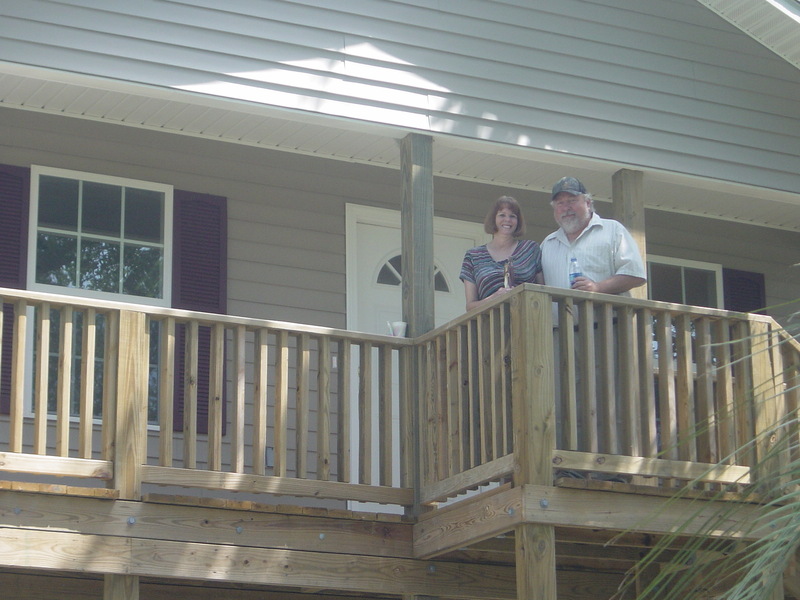 The new owners of the house are Cecil and Leslie Clark.